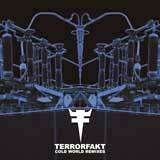 Acidic and harsh, TERRORFAKT's music is unavoidable. 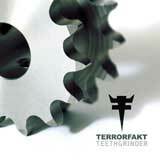 The fast paced and heavy beats bite at the eardrums and reverberate through the body, blurring one's vision and rapidly transporting them to another world. 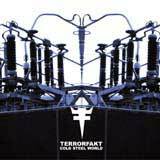 Re/Evolution is a looking forward /looking back type of release which features some classic out of print TERRORFAKT material, in addition to a few songs that were never "officially" released, and some new remixes and some new studio material. 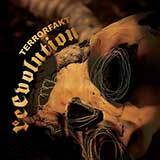 While this may satiate the longing for a new studio album, Re/Evolution can stand on its own as one of TERRORFAKT's best releases.